1 Hour Instructional Tour – $55.00 for 1 board. $45.00 for each additional board. Learn to ride a stand up paddleboard during this instructional tour. Paddle up wind, down wind, up current, down current, and in calm water. Tips and pointers throughout the tour will help make paddling a much more enjoyable experience. We may see manatee, dolphin, fish, birds, turtles, rays, coral, sea grass, beautiful homes, and boats during the tour. This is our most popular paddleboarding program. SUP Kiting is a new sport where you stand on a super stable paddleboard being pulled around by a kite. You can actually kite up wind, like a sailboat or a kiteboarder does. Some of the benefits of SUP Kiting are that you can kite in much less wind than kiteboarding, (9 to 13 knots) the kite is easier to learn to control, it’s a great introduction to kiteboarding, it’s a great family sport, and it’s a ton of fun! This beginner class consists of a 30 to 45 minute ground school lesson and then a kite control lesson. During the ground school we will cover safety, wind awareness, and kiteboarding terms. After ground school we will hop in the boat and go to a nice wide open shallow sand bar, grass flat area and learn how to fly a two line kite that is designed specifically for stand up paddleboards. We will teach you more safety, how to body drag downwind and upwind, power kite strokes, launching and landing, self rescue, and much more as time permits. Once safe kite skills are developed and if time permits, we will start to learn how to ride the paddleboard. 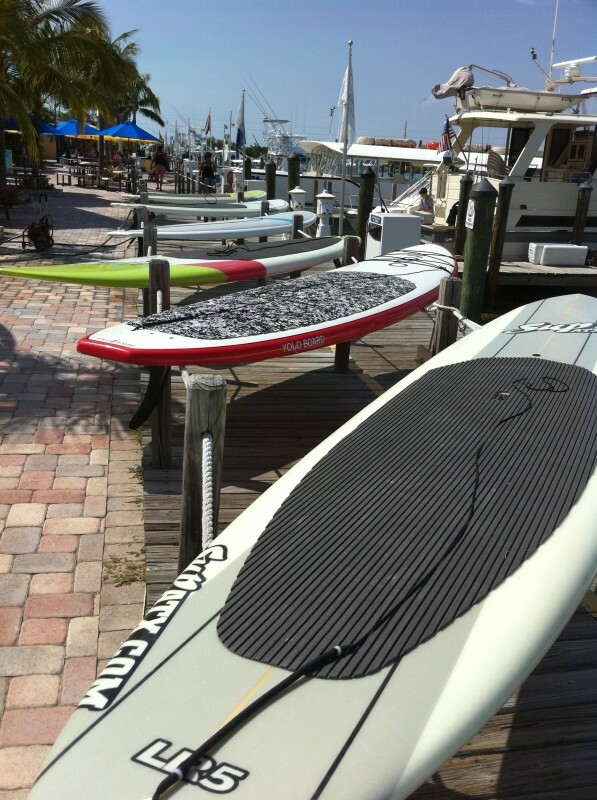 Stand Up Paddleboarding Rentals with paddle and PFD. We deliver boards anywhere in the Florida Keys. Down winders. $100.00 per person. Prices may vary. Stand Up Paddleboards and Gear Sales, New and Used. Wetsuit if you will be cold. Sunscreen, baseball hat, sunglasses, sunglasses strap, and what you will be drinking.